CV Mini-THON will be held on March 8th-9th 2019. The event raises money for Four Diamonds which aims to conquer childhood cancer. CV Mini-THON is a student run organization that works all year to raise money up until the night of our Mini-THON. Students run and organize fundraisers and solicit money from the community. 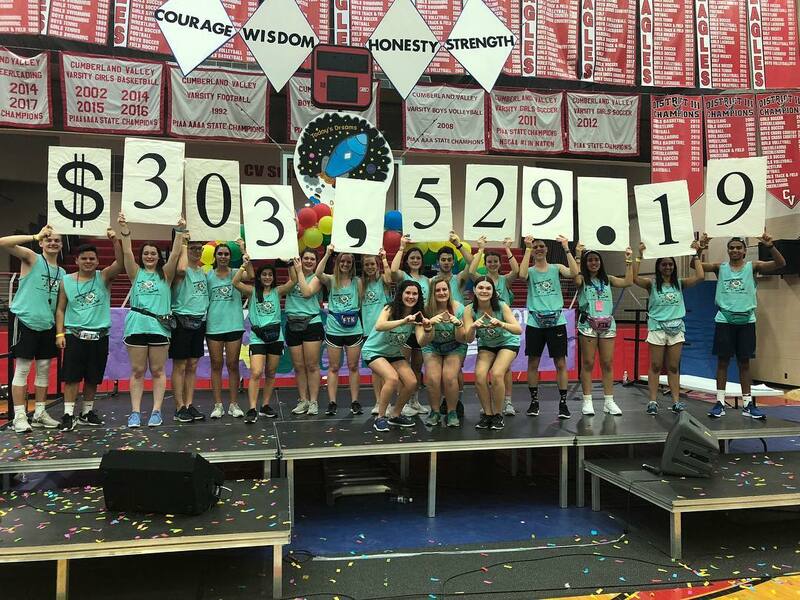 Cumberland Valley is in the process of planning its twelfth Dance MaraTHON, and is proud to be part of such a wonderful organization. Last year, CV Mini-THON raised $303,529.19 during its year long fundraising efforts, and wants to raise even more this year! Cumberland Valley has raised over $2,000,000 over the past thirteen years. Thank you to everyone who’s made these past years possible raising money for Four Diamonds. FTK!